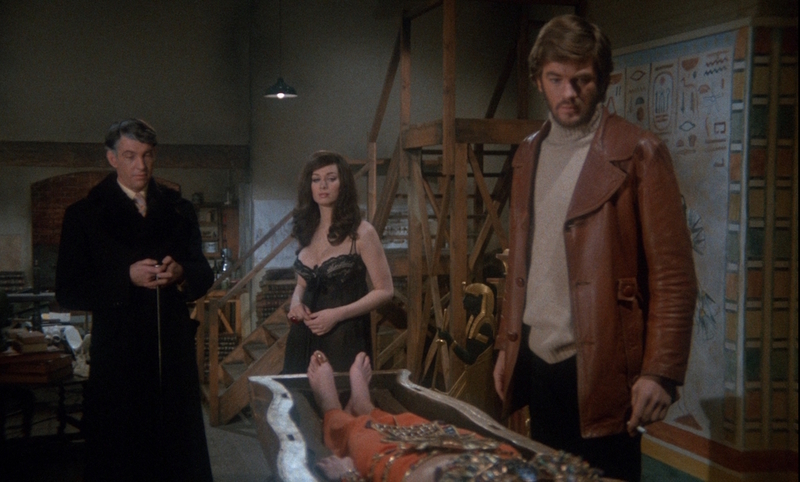 Hammer were no strangers to the Mummy film genre when they added Blood from the Mummy’s Tomb to their schedule for 1971, made back-to-back with Dr. Jekyll and Sister Hyde at Elstree between January and March of that year. 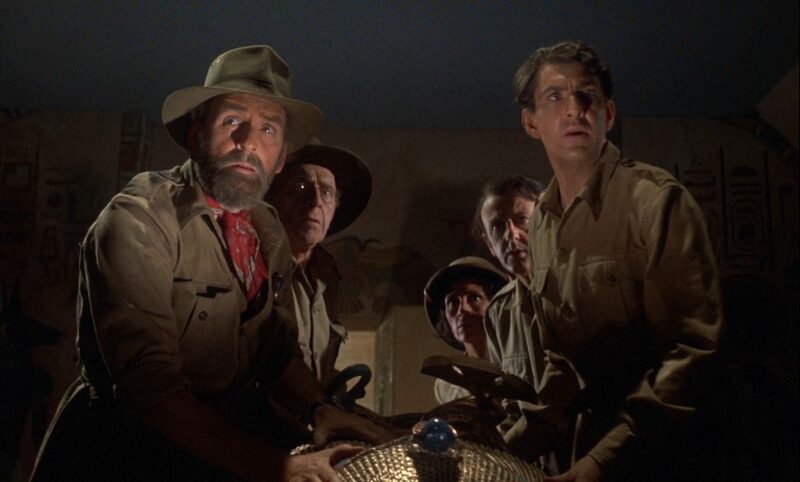 The Mummy (1959) had been followed by The Curse of the Mummy’s Tomb (1964) and The Mummy’s Shroud (1966), and a new mummy story was mooted by Hammer in April 1970, when James Carreras asked departing producer Anthony Hinds to write the script. The continuing task of finding new faces (and figures) to adorn Hammer films is one of the things that is keeping managing director Michael Carreras busy. 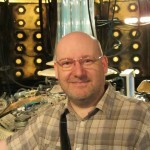 Carreras had taken over the role from his father Sir James Carreras and, taking stock of Hammer’s production schedule, hired Roy Skeggs as production supervisor to oversee the package of films being shot at Elstree and Pinewood. He was also in search of new ideas and welcomed in a host of independent producers. One of the first through the door was US publicist Howard Brandy. He owned the rights to Bram Stoker’s novel The Jewel of Seven Stars. Stoker, celebrated as the author of Dracula, tapped into the ‘Egyptomania’ that was au courant between the end of the 19th-century and the beginning of the 20th. It embraced the occultism and exoticism that fascinated the colonial mind set of the era, and used the curse of ancient wisdom as subtext about the Empire’s increasing anxieties about race and otherness. The novel tells the tale of ancient Egyptian Queen Tera, who’s mysteriously reincarnated in Margaret, the daughter of Egyptologist Abel Trelawny who, with his colleague Corbeck, becomes obsessed with the idea of resurrecting Tera. Trelawny’s wife died in childbirth and Margaret was born just as his expedition stumbled upon Tera’s tomb and discovered her preserved as a mummy. Her unwrapped hand concealed a cursed ruby, deadly to any who come into contact with it, containing an aligned constellation of seven stars that provided the power to reincarnate her. Stoker knew a great deal about Egyptology through his connections with Oscar Wilde’s father, William, who’d made several such expeditions. 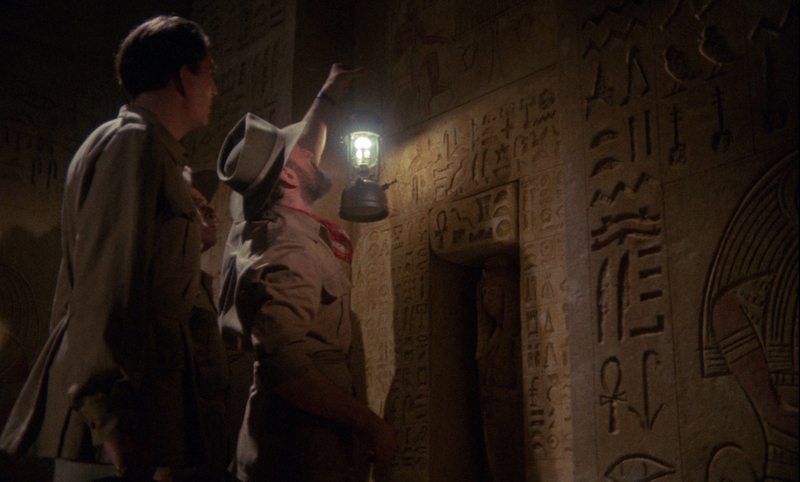 The 1892 book Pharaohs, Fellahs and Explorers (recounting the history of female pharaoh Hatshepsut), may have inspired Stoker’s Queen Tera and, in fact, Howard Carter discovered her tomb in 1902, the year before The Jewel of Seven Stars was published. 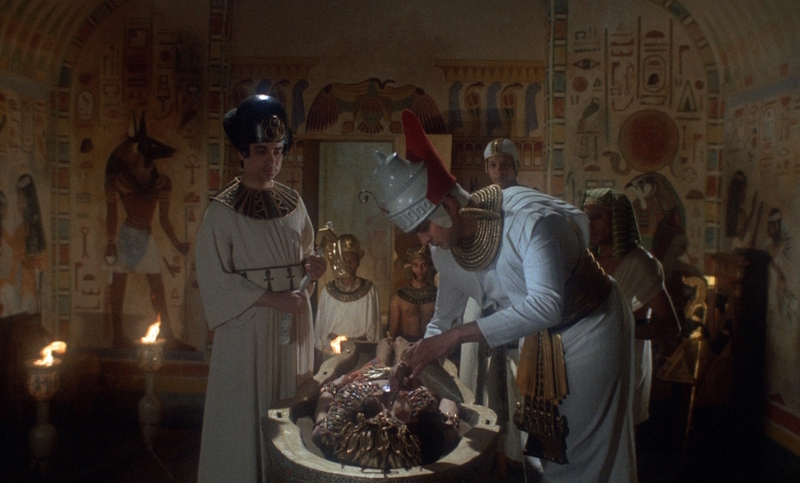 The most recent adaptation of Stoker’s story, just before Hammer made Blood from the Mummy’s Tomb, was ABC’s episode of Mystery and Imagination called “The Curse of the Mummy” transmitted in February 1970. Starring Isobel Black and Patrick Mower, it retained the Edwardian setting but in trying to be faithful to the book it was “extremely wordy with consequently little action”. Stoker’s 1903 story was reconfigured and shifted to the present day. 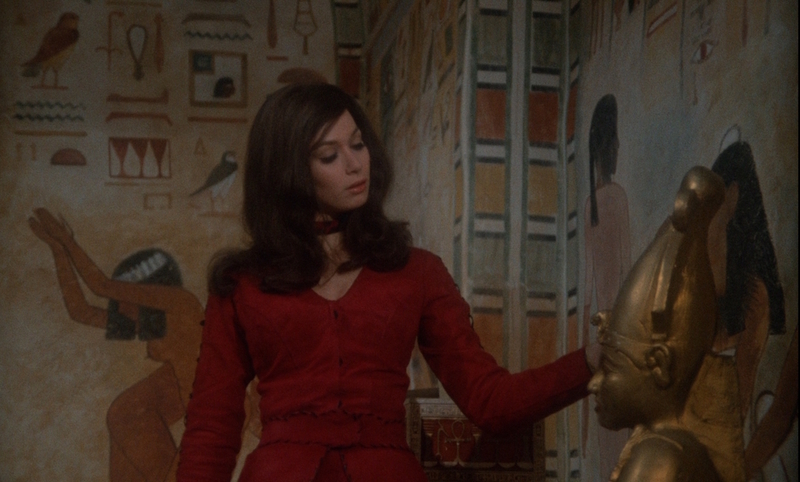 In Wicking’s adaptation, Margaret Fuchs (Valerie Leon) has nightmares about her ancient Egyptian doppelgänger, Queen Tera. In the dream, Tera’s entombed by her fearful priests, who chop off her hand and feed it to their jackals, but their indiscretions evoke a powerful, invisible force that attacks them and rips out their throats. On her birthday, Margaret is given a ruby ring by her father Professor Julian Fuchs (Andrew Keir). 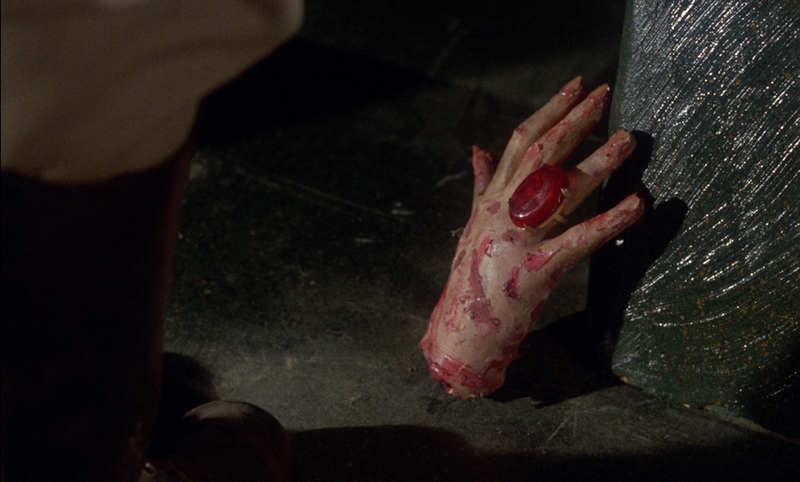 It’s a relic from Tera’s tomb that Fuchs and his expeditionary team — Corbeck (James Villiers), Dandridge (Hugh Burden), Berigan (George Coulouris), and Dickerson (Rosalie Crutchley) — found on her dismembered hand when they broke in 20 years ago to the day of Margaret’s birth. 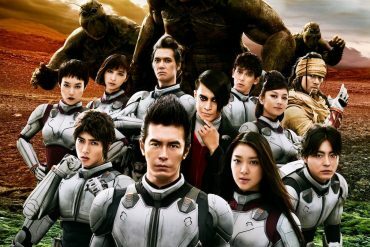 Margaret is destined to house the reincarnated spirit of the fully preserved Tera when the stars are in a particular alignment and artefacts from the tomb have been reclaimed from each of the team members. Although Wicking and Holt worked on the script for several months, according to Howard Brandy the draft treatment Wicking had completed was “very, very short and unusable” and Holt allegedly rewrote it completely. Wicking’s original treatment was also a touch more Rabelaisian and featured a black magic ritual, conducted by Dickerson and a group of naked worshippers. Tera’s vengeful spirit rips them all apart and she makes love to her ‘slave’ Corbeck in the midst of the bloody carnage. The rewritten script eventually excised the scene completely. 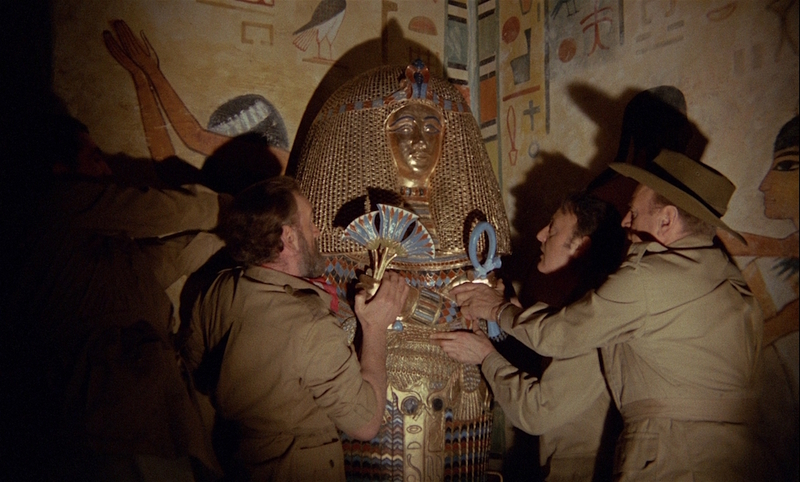 Blood from the Mummy’s Tomb was moved forward in the schedule from March to commence shooting on 11 January 1971 for six weeks. Though Wicking was prevented from attending the filming, each night he would work with Holt “in town after he’d finished shooting, about what he’d shoot tomorrow.” Meanwhile, Roy Skeggs had discovered that Hammer could not insure Holt because of his ill health and both he and production manager Christopher Neame allowed Holt to continue without cover but kept this information from the rest of the cast and crew. Peter Cushing was originally cast as Professor Fuchs. He’d completed I, Monster in November 1970 and had a special arrangement during filming to allow him to return home each day as, at the time, his wife Helen was very ill with emphysema. She was still fragile when he started Blood from the Mummy’s Tomb and a similar dispensation was granted. Deborah Grant, an alumni of Central School of Speech and Drama and the Bristol Old Vic, with appearances in The Power Game, Public Eye, and UFO to her credit, was Holt and Brandy’s choice to play the dual role of Margaret and Tera. James Carreras was dissatisfied with this and decreed “we need someone larger than life”. Enter statuesque, 5’11” Valerie Leon, immortalised in a series of commercials for Hai-Karate aftershave and several Carry On film appearances. She was tested for the film back-to-back with Deborah Grant who recalled “we wore Liz Taylor’s costume from Cleopatra, with those wigs which made one look completely different, and Egyptian eye make up.” Grant conceded of Leon, “they thought my acting was wonderful but she had the frontage!” Brandy and Holt still weren’t convinced that Leon was experienced enough for the role but James Carreras, recognising her appeal, demanded of them “You make her an actress!” and she duly got the part. However, Leon’s voice, as with many of Hammer’s leading ladies, was entirely re-dubbed by another actor during post-production. Cushing and Leon were supported by a sublime cast of veteran British actors, including the aforementioned James Villiers, Hugh Burden, George Coulouris, and Rosalie Crutchley, as members of the expedition, and the highly eccentric Aubrey Morris as the family doctor, Putnum. Morris would play the same part, as Stoker’s originally named Dr. Winchester, in Jeffrey Obrow’s adaptation of the novel Bram Stoker’s Legend of the Mummy (1997). Finally, 28-year-old Australian actor Mark Edwards was signed to play Margaret’s boyfriend Tod Browning (named after the director of the Universal 1931 Dracula as an injoke). 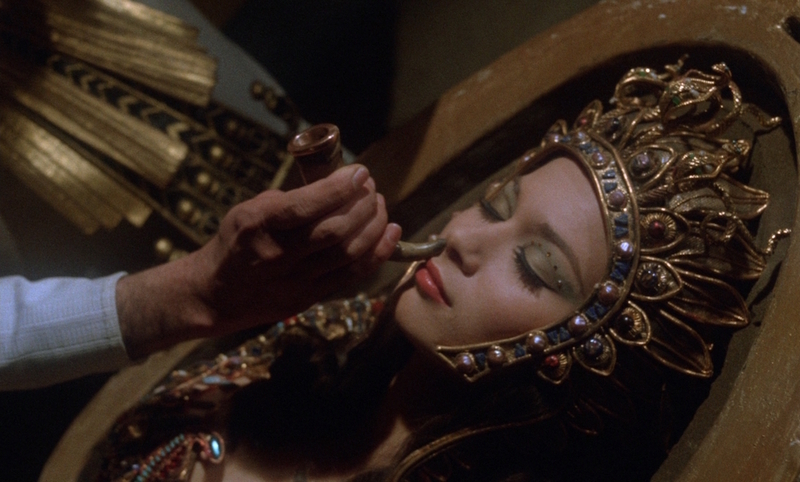 Production designer Scott MacGregor was well versed in ‘Egyptomania’, having previously worked on the art direction for Cleopatra (1963) and Khartoum (1966), and supplemented his sets with a number of stock objects and ephemera from Hammer’s other Mummy films, which were still in storage at their old home of Bray Studios. Production Supervisor Christopher Neame’s secretary claimed these artefacts “gave off bad karma” and insisted MacGregor store them away from their shared office. MacGregor also poked a bit of fun at Neame by using his and Roy Skeggs’ names for the estate agents on a ‘to let’ sign used on location in Barnet outside the house where Corbeck spies on Margaret’s progress. Sadly, Helen Cushing suffered a relapse after attending Canterbury Hospital for a check up and, having completed the first day of filming, Peter Cushing rushed to the hospital and begged the doctors to allow her home as it was understood she wasn’t expected to live through the night. His agent cancelled his involvement with the film and Helen passed away on 14 January. Could I help them out, come in and do it. 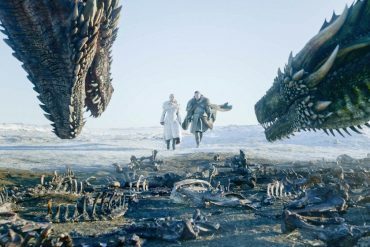 I told them to leave the script at the gate and I’d come down. I was living in Wales, so I travelled overnight, learned the script and started Monday. … the last day we did with Seth, we did a sand storm scene on the stage at Elstree with these great wind machines blowing dust and fullers earth. And it was quite awful, because if you’re not really able to breathe too well, this is the worst stuff in all the world. Holt suffered a fatal heart attack on 14 February. 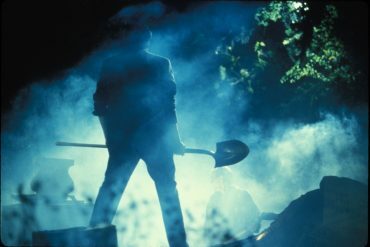 His death had a huge impact on cast and crew but, rather than cease production, Michael Carreras decided to continue and initially considered starting the film again from scratch with director Don Sharp. However, Sharp turned this offer down and Carreras opted to step in and complete the film. The problem was that he couldn’t make head nor tail of what Holt had already completed. Holt kept all his editing choices in his own head rather than make notes and plans. He usually completed all the shooting and then moved onto editing. 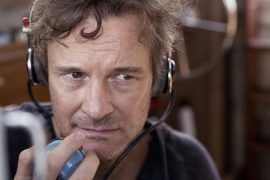 Consequently, when Carreras took over, there wasn’t an assembly edit of the film prepared as per Hammer’s orthodox approach of directors and editors putting material together as they went along. He ran all the available material, went through the script and then brought in his own editor Peter Weatherley to try and make sense of Holt’s completed footage. 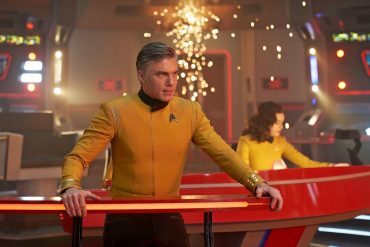 He also had several incomplete scenes to shoot, amounting to about 15-minutes according to Production Manager Christopher Neame, and was back at Elstree on Monday 15 February picking up the missing scenes. While Neame supervised second unit filming including the car crash sequence involving Margaret’s boyfriend Tod, Carreras worked on the incomplete sandstorm scene, the attack on George Coulouris’ character Berigan in his asylum cell, various pick ups featuring Rosalie Crutchley’s Helen Dandridge, and scenes between Leon and James Villiers. Shooting completed on 24 February 1971 and the film moved into post-production. 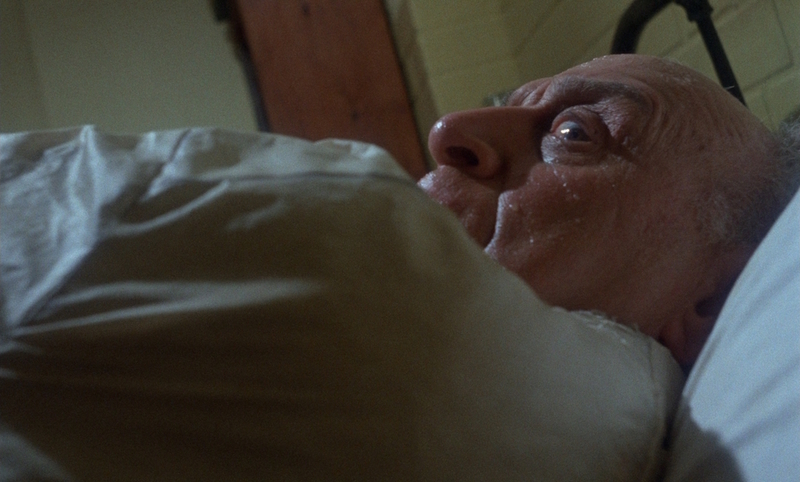 It was submitted to the British Board of Film Censors and rather than raise concerns about the gore in the film they were more worried about the depiction and treatment of the asylum inmates in the scenes featuring Berigan. Concerns duly noted, Hammer trimmed these sequences and the film was given an X Certificate. It premiered at the National Film Theatre as part of a Hammer retrospective. Out of the chaos emerged an atmospheric and thematically interesting film. The feeling of dread and submission to powers beyond the astral plane is conjured up by Tristram Cary’s excellent score. There was, as Jonathan Rigby points out, a link between Holt and Cary with The Ladykillers, a film Cary had scored and Holt had produced at Ealing. 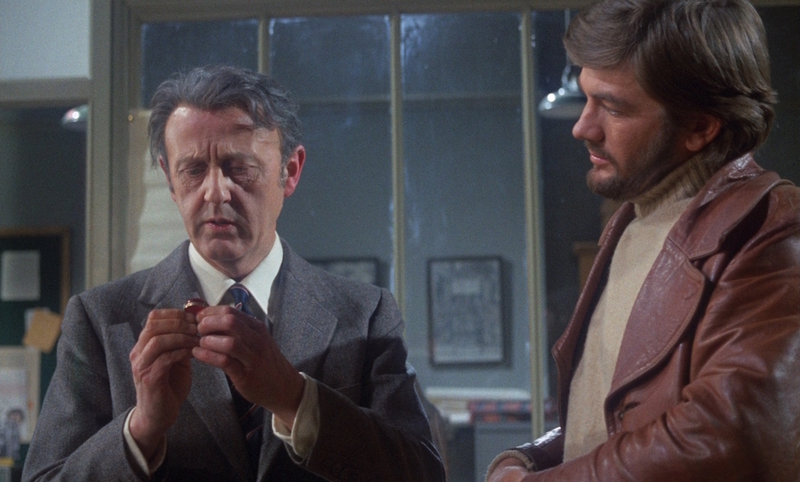 For Hammer, Cary had provided a suitably disturbing score for Quatermass and the Pit and, although the score is more conventional for Blood from the Mummy’s Tomb, it is full of exoticism. It is packed with “mystic harp glissandi, shuddering tam-tams, dreamy vibraphones, shivering suspended cymbals, mysterious flutes, ethereal strings” rather than the electronic tonalities that Roy Skeggs and Hammer’s music supervisor Philip Martell had hired him for. Cary’s music supports a film that in Howard Brandy’s words was the antithesis of the genre and “was a Mummy movie without someone stumbling around in sheets and bandages.” It shakes off the period trappings of the original Stoker story and the tropes of previous Hammer films, settling instead for the contemporary world of the London suburbs. Wicking reconfigures Stoker’s story and turns it into a revenge film in the idiom of AIP’s The Abominable Dr. Phibes (1970). 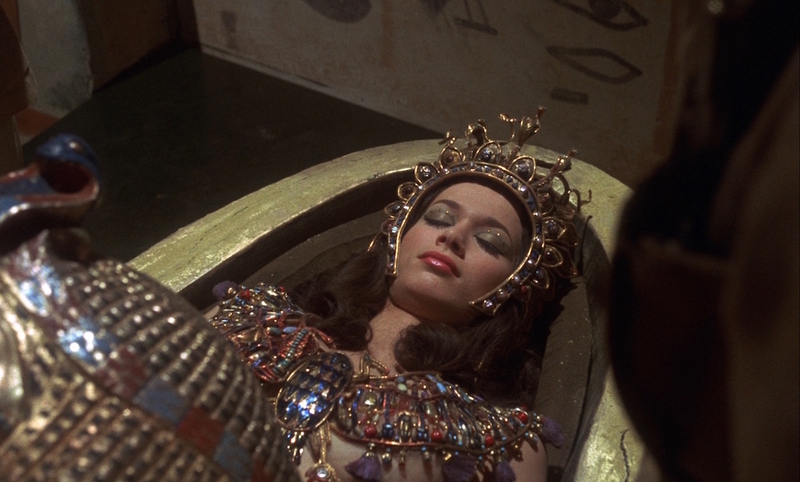 Just as Phibes visits ancient Biblical curses on the team of surgeons who failed to save his wife’s life on the operating table, so the ancient Egyptian Queen Tera uses Margaret as a vessel to take back the protected artefacts of her tomb from Fuchs’ colleagues. Like the jackals that once tore at her severed hand thousands of years before, she tears their throats out as punishment. Each member of the team is attacked by the spirit form of the relic they protect. 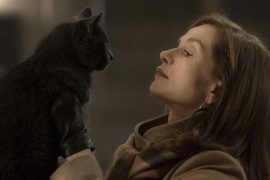 In a series of rather well executed and edited sequences George Couloris is driven mad by the snake figure he fears, Rosalie Crutchley is killed by the cat emblem of Bast and Hugh Burden by a spectral sacred jackal. Holt and Carreras imbue these scenes with an escalating sense of terror and hysteria and all three actors interpret the material with appropriate gusto. Manipulating events are the twin figures of Margaret’s father, Julian Fuchs, and his expedition colleague Corbeck. Both are destined to unleash the power of Tera, giving her material form in Margaret’s body. While Corbeck relishes the seductive and carnal forces that Tera will embody, Fuchs struggles with his guilt about offering up his daughter for Tera’s possession. As Corbeck, James Villiers steals the film as the true villain of the piece and he seizes the role with a camp exuberance and stylish charm. No one can be allowed to break this bond between Fuchs and Tera and, as a result, she has her vengeance both on Margaret’s boyfriend, Tod and the family doctor, Putnum. She curses Mark and he abruptly crashes his trendy sports car. Mark Edwards doesn’t get much of a chance to make his presence felt and his death scene is very sudden, somewhat incongruously jammed into the film. Poor old Putnum, in a delicious turn from Aubrey Morris, is thrown through a window when he tries to sedate Margaret just as Tera’s possession of her achieves ascendancy. 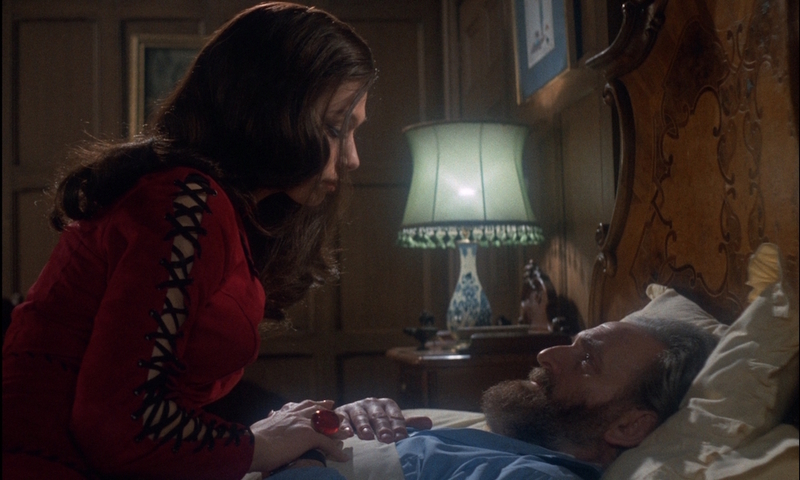 Valerie Leon portrays the antagonism between Margaret and Tera through sheer physicality alone. There is something darkly seductive not only in her statuesque figure but also through her facial expressions, in her eyes and lips particularly. If Tera is the embodiment of the uncontrollable, awesome eternal feminine — like Ayesha in Rider Haggard’s She — then Leon does capture some of this by dint of physical presence alone. Holt and his cinematographer Arthur Grant clearly tap into this with their handling of the relevant lighting and compositions but it’s a shame her voice was dubbed as it creates a distancing effect that lessens the impact of her performance quite significantly. Fuchs counters that “it’s out of our hands” when Corbeck claims he can revive Tera with the Scroll of Life. 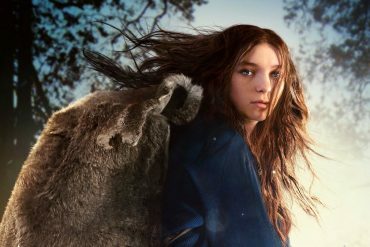 Tera has gained dominance over Margaret’s body but Fuchs realises that his daughter will die once the reincarnation process is complete. Margaret also realises that the incestuous battle between her and the ancient Queen will result in her spiritual, if not physical, death. Father and daughter mutually face destruction and it’s symbolised in that rather touching moment when they hold hands and face Corbeck as the ritual begins. After Corbeck is killed, Margaret briefly gains control and stabs Tera as her preserved body in the sarcophagus comes back to life and attempts to strangle her. Fuchs’ basement shrine to Tera collapses into rubble and their battle for identity is left unresolved as they disappear beneath the crumbling building. 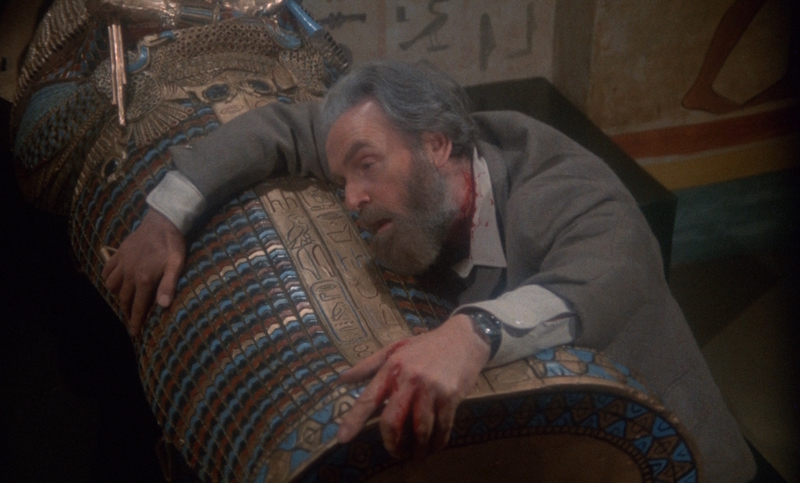 Peter Hutchings acknowledged that Blood from the Mummy’s Tomb reflected a number of horror films that, at the time, were interested in the psychological effects of familial tensions. 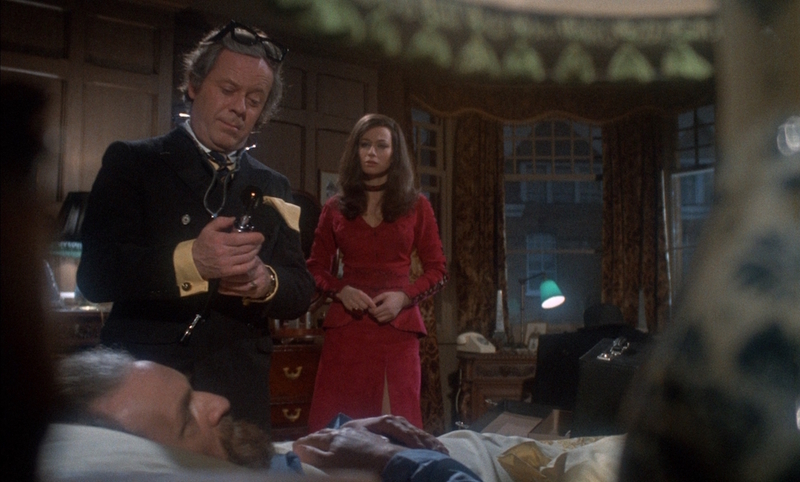 He saw Holt’s film as part of a group, along with Hammer’s Countess Dracula (1970) and Dr. Jekyll and Sister Hyde (1971), that highlighted female figures setting out to overturn male structures and authority. 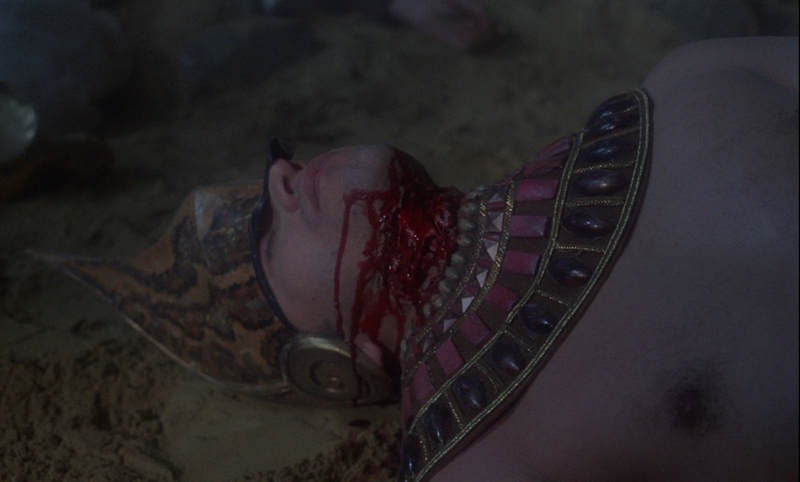 The Pharaoh’s Curse: Inside Blood from the Mummy’s Tomb. In this featurette Jonathan Rigby, John J Johnston, Kevin Lyons, Valerie Leon and Alan Barnes explore Bram Stoker’s ‘Egyptomania’, Howard Brandy’s pitch to Hammer, the conception and making of the film, including Cushing’s one day of filming, and Holt’s untimely death. director: Seth Holt & Michael Carreras (uncredited). starring: Valerie Leon, Andrew Keir, Mark Edwards, James Villiers, Hugh Burden & Aubrey Morris. Bruce G. Hallenbeck, ‘The Making of the Hammer Classic Blood from the Mummy’s Tomb’ in Little Shoppe of Horrors №24, (May 2010). Christopher Neame, Rungs on a Ladder: Hammer Films Seen Through a Soft Gauze, (Scarecrow Press, 2003). 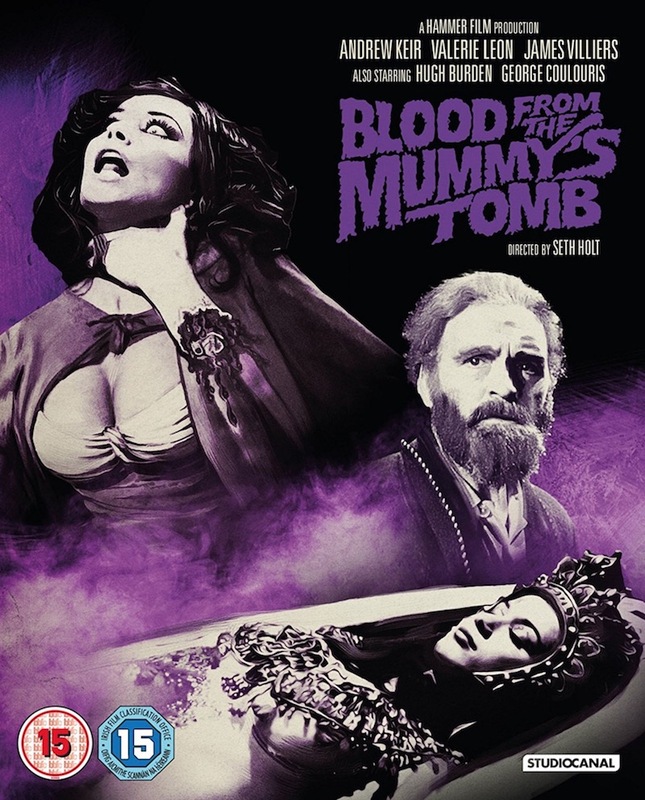 Interviews with Christopher Wicking and Valerie Leon on Blood from the Mummy’s Tomb DVD, (Anchor Bay 2001). David Huckvale, Ancient Egypt in the Popular Imagination: Building a Fantasy in Film, Literature, Music and Art, (McFarland, 2012). David Huckvale, Hammer Film Scores and the Musical Avant-Garde, (McFarland, 2008). Matt Cardin (ed), Mummies Around the World: An Encyclopedia of Mummies in History, Religion, and Popular Culture, (ABC-CLIO, 2014).